IoT is expected to solve various social challenges, which include highly-reliable social infrastructure and the optimization of industry. IoT system improves the efficiency、reliability of the real world using many kind of sensing, analyzing and actuating technologies. MEMS technology helps to sense the real world in many scenes. In this presentation, MEMS technology used in IoT system with the example use-case of the infrastructure and industry. 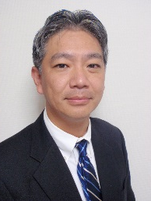 Shinji Nishimura is a general manager of Center for Technology Innovation – Electronics, R&D group, Hitachi, Ltd. He obtained his bachelor's, M.E., and Ph.D. degree in electronics engineering from University of Tokyo in 1989, 1991, and 2001. He joined the Central Research Laboratory, Hitachi, Ltd., in 1991. He worked on optical device, network interface, network equipment, parallel processing system and sensing electronics system for IoT. He is a senior member of IEEE and IEICE.